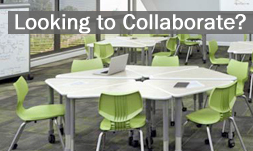 Many private early learning institutions adopt innovative and outside-the-box learning methods for their students. One example is the concept of the Montessori school where students are self-directed and are focused on hands-on learning. Having a secure storage locker for students complements this forward-thinking environment as it teaches responsibility and accountability. Students know where to easily access their school supplies, materials and learn how to stay organized which is a critical skill that will continue to benefit them as they advance in school and transition into their future careers. 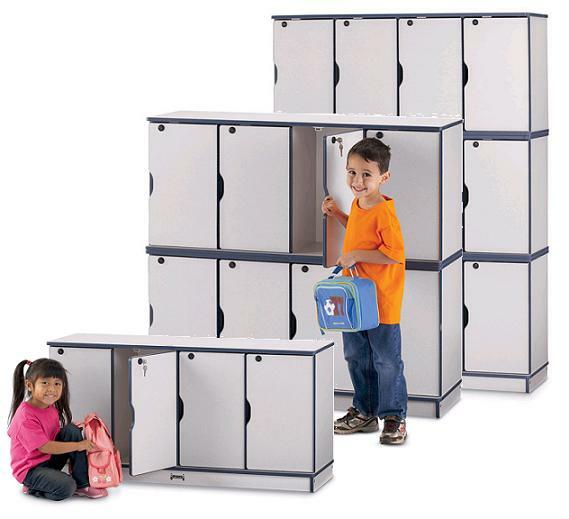 The Rainbow Accents Stackable Lockers by Jonti-Craft is perfect for early childhood learning environments as it provides an expandable and secure storage location for your students. There are countless large corporations including Boeing, Toyota, Wal-Mart, UPS, and General Electric who employ hundreds of thousands of factory and operations personnel. 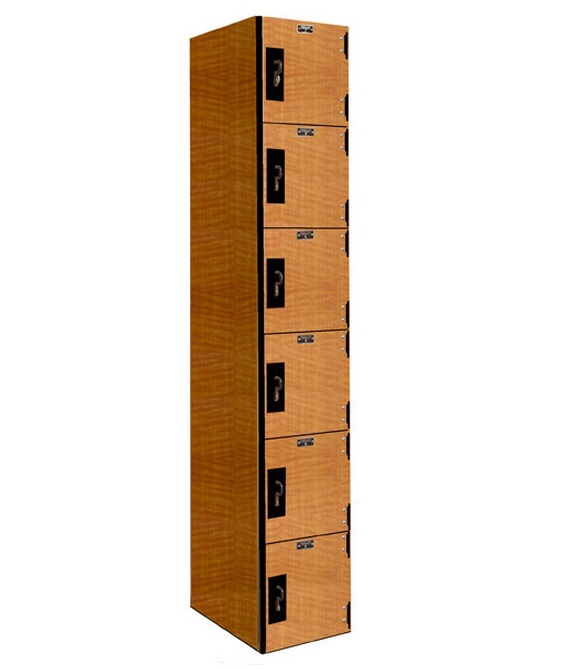 While traditional metal lockers have been around for decades, many advancements have made investing in high quality volume locker storage more inviting. Phenolic lockers not only feature durability but also utilize a non-porous surface that resists the buildup of mold, mildew, and bacteria thus making them great for wet and damp areas. They are also resistant to scratches, graffiti and are a natural choice if you’re looking to overhaul or add to your high volume storage set up. 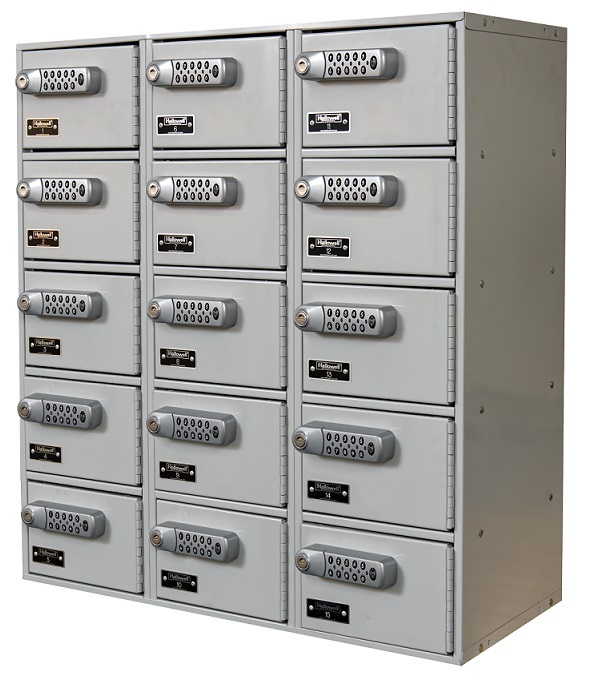 The Versamax Phenolic Six-Tier 1-Wide Locker by Hallowell offers excellent storage and the option to choose between padlock, key lock or electronic lock security which will keep your employees’ personal effects neatly stored while providing a more natural look to your work environment. Different organizations have different personnel storage needs and having the optimal solution helps to promote an efficient and happy work environment. We invite you to check out comprehensive lineup of Lockers and contact us to help you find the best storage solution for your organization!